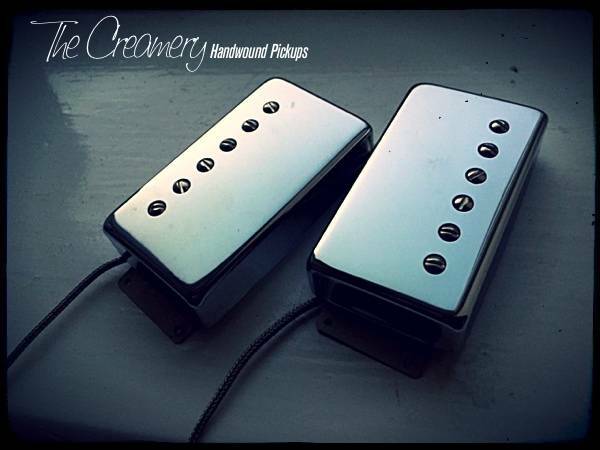 Full Creamery Handwound Classic Humbucker pickup set of Bridge & Neck. Classic/Vintage humbucker combination of Alnico 2, 3, 4 or 5 in either bridge & neck position in the larger Fender Wide Range size. Just select from the options in the drop-down menu.